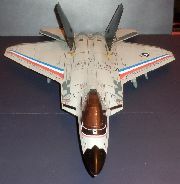 I've always hesitated about getting this True Heroes version of the F-22, but one came up on ebay for a good price and I couldn't pass up. 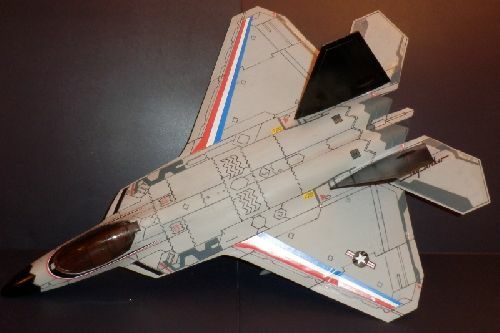 The key thing that always made me hesitate was that although I always thought it would be a nice and much more realistic looking/proportionate companion to the American Plastic Toys F-35, I didn't have the confidence to either repaint the entire jet or remove the camoflage gray paint it originally came in. Turns out it was dead easy to remove the paint with just a little sandpaper! 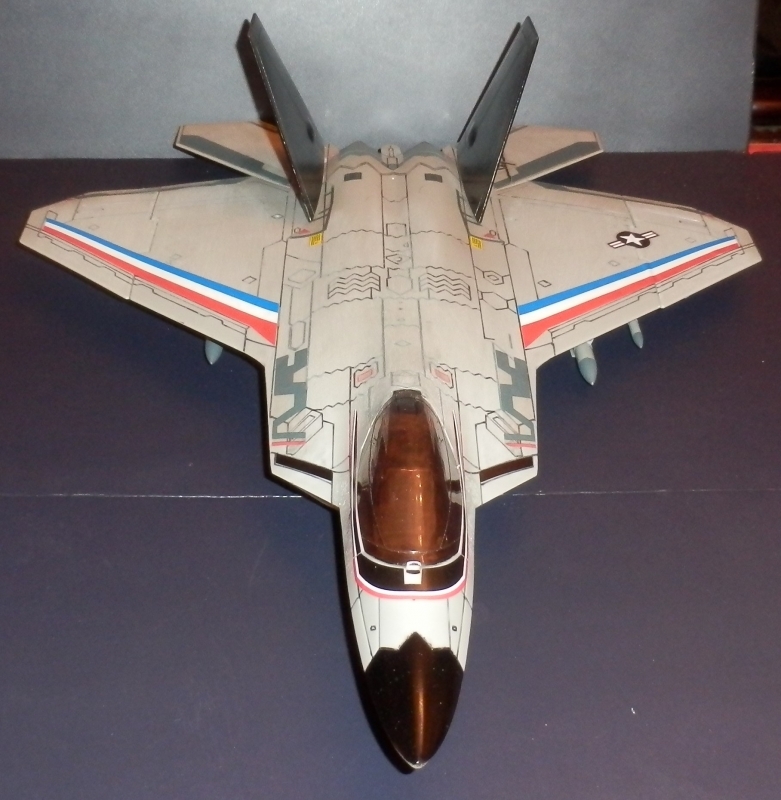 "As the GI Joe air superiority programme continued to develop, following the completion of the Lightning Striker project, the GI Joe team went back to the drawing board with the Thunderwing. Reconceptualising the stealth fighter as a conventional single seat stealth air superiority fighter, the Thunderwing II emerged as the new 'hi' in the 'hi-lo' force multiplier with the Lightning Striker!"